Greetings from the end of a great long weekend. All that said, I probably would not be declaring it a great weekend if not for this: Rory seems to be coming out of the “all meltdowns, all the time” phase. He seems to be turning a corner. Now, it is possible that once we get all the way around this corner we will run into the behavioral equivalent of a hungry bear just out of hibernation. But still. At the risk of jinxing it, I have to say that Rory has been more…enjoyable. What seemed like nonstop screaming, crying, falling, then screaming and crying some more, has become less constant. 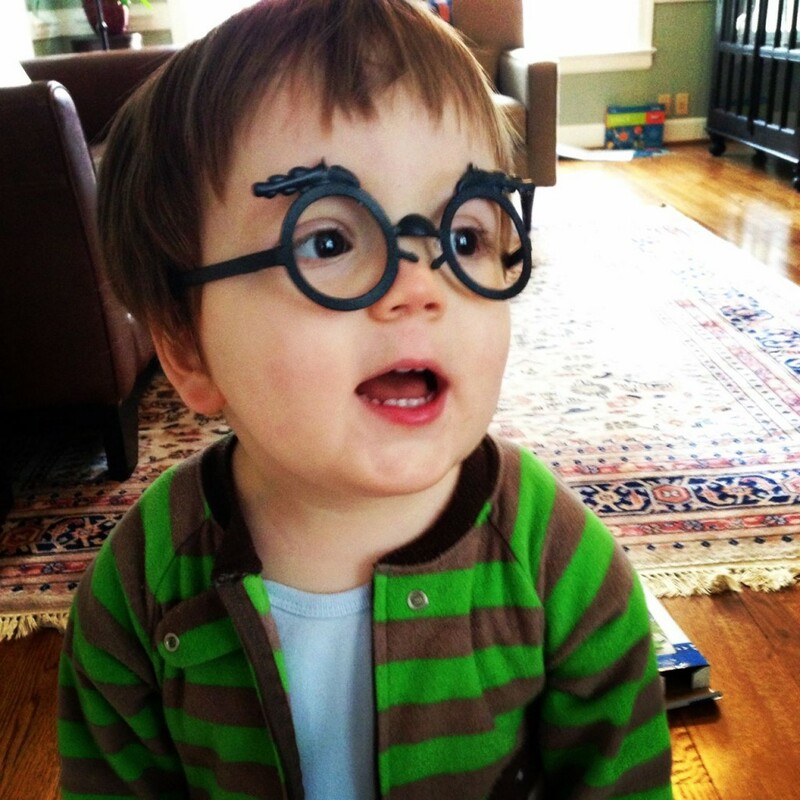 All of that is now interspersed with healthy doses of laughter, quiet periods of reading books to himself and fun time chasing Noah and screaming in a happy way. It helps, too, that he’s saying more words. He seems downright relieved that he can better communicate with us. Yes, it sometimes requires a game of 20 Questions to figure out what exactly he’s asking for (“Okay, Rory, is it bigger than a breadbox?”) but we’ve figured out a couple key phrases (e.g., “Lion!” is a request for Katy Perry’s “Roar;” oddly, “Butter” is the cue for “Danger, High Voltage,” another family dance favorite). And of course there are the hilarious mispronunciations (like his daily request for a “fork” when he can’t quite pronounce his Rs). Anyway, all of these factors came together to make an enjoyable weekend. They also took up any and all time I usually have to write blog posts. But that reminded me to tell you about my favorite recent purchase. 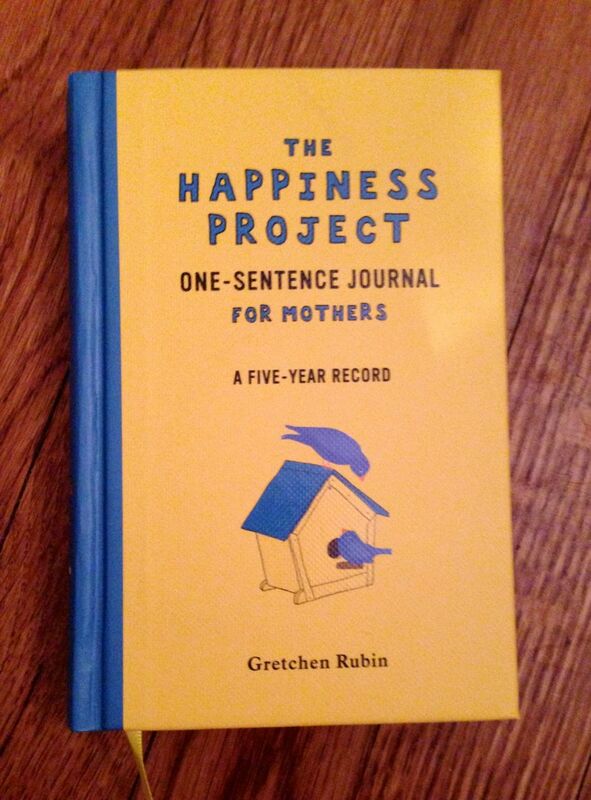 You know I’m a fan of Gretchen Rubin’s book The Happiness Project. You may remember that I relaunched this blog with the intention to write about the ten “Happiness Commandments” I devised for myself post-layoff. You may have not noticed, or have been too polite to point out, that was nine months ago. I’ve gotten through five commandments. Like my February resolution of giving up social media for two weeks (I lasted five days), I’m an enthusiastic goal setter, but somewhat less dedicated when it comes to the follow through. I’ve been relying on my blog to do a lot of the “baby booking” I have neglected over the past two years. It’s definitely helped. I email myself bits of conversations with the kids, or other things I want to remember for the blog that otherwise would be lost. So I’m glad I got the one-sentence journal. Each date has a page with spaces for five very short entries – one for that day for each of five years. So at night, before I go to bed, I just think quickly about the day, and more or less write down the first thing that comes to mind. Next year, when I make my entry for, say, February 17, I’ll get to see what I wrote today. And so on for five years. It boggles my mind that when I’m making those last set of entries, the boys will be ten and seven years old. Anyway, there are all sorts of journals and baby books and such, but if you are daunted by a blank page or just want to jot down memories on a daily basis, I highly recommend this. In fact, I think it might become my go-to baby gift. So if we’re friends, and you’re expecting a baby any time soon, you should probably tell me now if you already have it or if you think it’s the dumbest thing ever. I, for one, am looking forward to filling it up with single sentences about weekends like this. Happiness Commandment: #5 Books >TV Happiness Commandment #1: Write, write, write (or: How I Learned to Stop Slacking and Love the Blog) Sometimes a girl just needs to get laid off.